“Today I announced the 2018 winners of the @UN Human Rights Prize. I am proud to recognise the contributions of individuals & organizations that promote & protect human rights @RebecaGyumi @Asma_Jahangir Joênia Wapichana @FrontLineHRD Your work is an inspiration to us all #UN4ALL“. Brazilian Joênia Wapichana (officially Joênia Batista de Carvalho) the first indigenous lawyer in Brazil and a member of the Wapixana tribe of northern Brazil. After taking a land dispute to the Inter-American Commission on Human Rights, Wapixana (or Wapichana) became the first indigenous lawyer to argue before the Supreme Court of Brazil. She is the current president of the National Commission for the Defense of the Rights of Indigenous Peoples. She was elected federal deputy for Sustainability Network representing the state of Roraima, in the 2018 general election. When cultural heritage is under attack, it is also the people and their fundamental human rights that are under attack, a United Nations expert warned the UN General Assembly, issuing an urgent call to step up international action against the destruction of heritage such as monuments, historic sites and sacred places, reports Just Earth News on 28 October 2016. “Afghanistan, Iraq, Libya, Mali and Syria are all in our minds on Thursday, but many more countries are to be added to this list, where acts of intentional destruction harm all, target free thinkers and disproportionately affect people belonging to minorities,” the UN Special Rapporteur on cultural rights, Karima Bennoune, stressed in her briefing to the General Assembly’s Third Committee. …At the end of her report, the Special Rapporteur paid tribute to all those who had sacrificed their lives to preserve world’s cultural heritage. 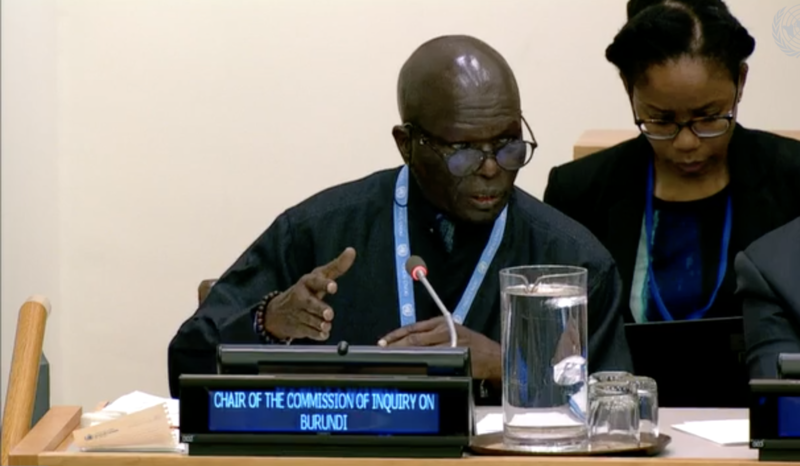 “In many cases we must consider cultural heritage professionals on the frontlines of the struggle against destruction as human rights defenders,” Bennoune stated, adding that it is vital that we ensure their safety and security, grant them asylum, and create necessary work conditions for them. The Amnesty International Report 2015/16 documents the state of human rights in 160 countries and territories during 2015. This year it expresses doubt as to the question whether the UN is still ‘fit of purpose‘. the release of Filep Karma, a Papuan prisoner of conscience, as a result of 65,000 messages written on his behalf by supporters from around the world. Amnesty International calls upon states to ensure that the resolution adopted in November by the UN General Assembly to protect the rights of human rights defenders is implemented, including the naming and shaming of states that fail to uphold these rights.